On Monday, February 25, 2013, the National Institute for Occupational Safety and Health (NIOSH) announced it will provide free, confidential health screenings to coal miners in Alabama, Illinois, Indiana, and Pennsylvania. The goal of the screenings is to detect early stages of coal workers’ pneumoconiosis (CWP), or black lung, a disease caused by breathing coal mine dust. Screenings will begin in March at state-of-the-art mobile testing units set up throughout Alabama. The health exams will take about 25 minutes and include a work history questionnaire, a chest x-ray, spirometry testing, and blood pressure screening. “NIOSH is committed to public health outreach and surveillance for coal worker health,” explained NIOSH Director John Howard, M.D. 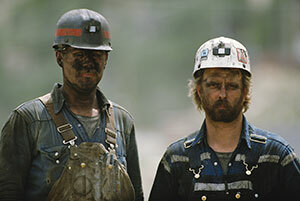 “Early detection of black lung in coal miners, through a screening program that is free and confidential, is critical to protecting these workers from advancing to stages of the disease that are life-threatening.” NIOSH is providing these exams under its Enhanced Coal Workers’ Health Surveillance Program (ECWHSP), an outreach effort created to respond to clusters of serious mining-related disease. Worker health and safety is a top priority. Reduce worker exposure and protect miners with dust control technology, dust monitoring, and the appropriate respiratory protection.